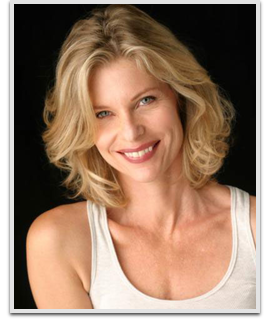 Kate Vernon is a Canadian-born film and television actress. She is best known for her roles as Lorraine Prescott on the CBS soap opera Falcon Crest, the stuck-up and popular Benny Hanson in the comedy film Pretty in Pink and Ellen Tigh on the re-imagined Battlestar Galactica. She also appeared in one episode of Star Trek: Voyager as a member of Species 8472 impersonating a human in the episode “In the Flesh” and as a guest star in two episodes of Heroes (“Close to You” and “Pass/Fail”) as Vanessa Wheeler.